She’s claiming she has more rights to the Earnhardt name than those who were actually born with the name Earnhardt. This is not the first time an issue like this has come to the surface. In the past she has prevented Dale Earnhardt from using the #8 car. A number that has been in the Earnhardt family since they started racing. She forced him to the #88 as Dale Earnhardt Inc was the owner of that number for competition in the NASCAR Cup Series. That was the first sign she was not on the same side of the Earnhardt family. Dale Earnhardt Inc was a company Dale Earnhardt Sr built. He was quoted multiple times that it was built for his son Dale Earnhardt Jr. Now, not only did Dale Earnhardt Jr drive for a different team but he couldn’t even use the number has dad gave him. She is now trying to prevent Dale Earnhardt Sr’s first son Kerry Earnhardt from using his own name in a business name. Kerry Earnhardt and his wife own a non-racing related company that promotes and sells the “Earnhardt Collection” of homes. This week that story continues. ESPN reported Teresa Earnhardt filed an appeal to the TTAB decision with the U.S. Court of Appeals, claiming Kerry Earnhardt is improperly using the trademarked Earnhardt name. The Earnhardt family has since commented on the issue and Teresa Earnhardt. Teresa Earnhardt was the former owner of Dale Earnhardt Inc. In 2008, Chip Ganassi Racing merged and formed Earnhardt Ganassi Racing. 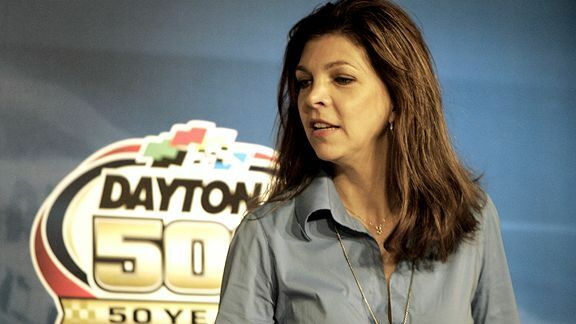 In 2014, the Earnhardt name was dropped from the name and Teresa was removed from management.